You’re taking your Mercedes-Benz out on a road trip, commuting on a usual weekday, or simply popping down to the shops to run an errand. You push the start button and head off. While you’re driving, your dashboard starts flashing up a message: “Service A due in 28 days”. The specific letter might change, but the message is the same: your car needs a service. Mercedes-Benz as a brand has always been at the forefront of automotive innovation – depending on how you look at it, the world’s very first car was a Mercedes! One of the innovations Mercedes-Benz has brought to the table is onboard health monitoring. Mercedes-Benz Service ASSYST is a computerised system that monitors the status of all the different components that make up your Mercedes and helps you keep on top of your service needs. Mercedes has a range of standardised Service Scopes, ranging from Service A, Service B, and beyond. Using this information, Service ASSYST will customise a Mercedes-Benz service scope that best suits your circumstances. 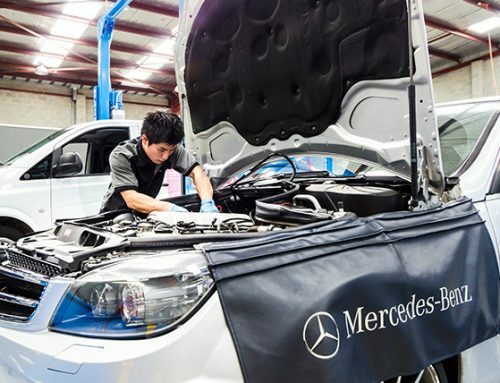 Why choose a dedicated Mercedes-Benz mechanic in Melbourne? Most people read “Service scope A” and come to the conclusion that it’s the same service, no matter what you’re driving. Unfortunately, it’s not that easy as pulling up into the shop and saying “one Service A please”. 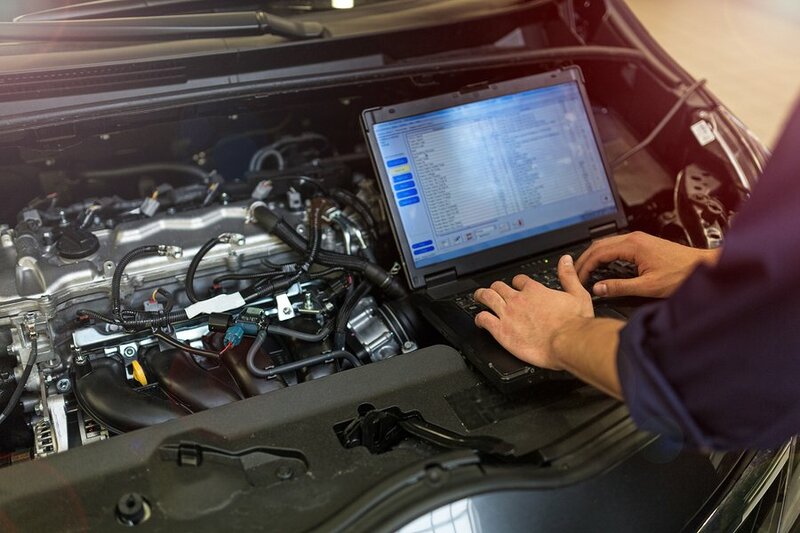 While Mercedes-Benz might use the same names for their service scopes, the specific services that are involved will vary – what your car receive during a Service A for example may differ to what somebody else’s receives! As such, the exact services your vehicle receives as part of a Service ASSYST package will vary from vehicle to vehicle. Confused? We get it! 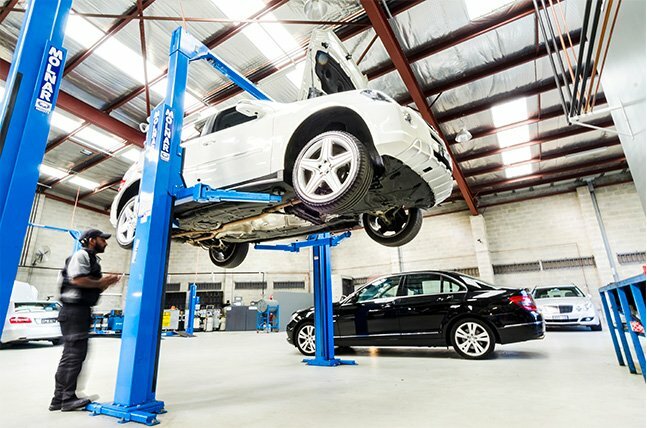 You’ll want to touch base with a Mercedes-Benz specialist in Melbourne to ensure your car is getting the right service. Mercedes-Benz produces a wide range of different cars, ranging from vans and high-performance sports cars, to its trademark luxury sedans. For example, let’s compare an A-Class hatchback to a Sprinter van. As a commercial vehicle, the Sprinter is likely to be subject to higher stresses than an A-Class that is primarily used for commuting and running errands. As such, a Service B for the Sprinter are likely to be more in-depth than the same package for an A-Class! As the owner of a Mercedes-Benz, you’re no doubt already familiar with your annual Mercedes-Benz Service A or Service B. When your vehicle ages and the kilometres start piling up, these prescribed packages start to become a tad less useful. A large part of this is simply because it’s almost impossible to predict what may happen to your vehicle over the years. Do you need extra services? Service ASSYST packages and the associated milestones and service regimes are based on some relatively optimistic assumptions – we’re talking ideal driving conditions, and generous times and distances. Very rarely do these carry over into the real-world! As a result, your vehicle may often require additional maintenance work to keep it in tip-top condition. Only a Mercedes-Benz specialist knows your vehicle well enough to diagnose and prescribe these maintenance services! While Service ASSYST is a useful tool to help you keep on top of your maintenance needs, by no means is it always 100% accurate. That’s because it doesn’t actively track the status of all the components and parts in your vehicle. In fact, for many parts it simply uses a predetermined distance or age (whichever comes first). So for many parts and components, unless they pass one of these predetermined yardsticks, your vehicle won’t trigger a maintenance warning. It’s in these situations that you need a trained eye to help you out! Finally, not all vehicles have Service ASSYST! Service ASSYST has been on most Mercedes-Benz since the early 2000’ss – if your vehicle predates Service ASSYST however, you’ll need to get it looked at by a specialist Mercedes-Benz mechanic! 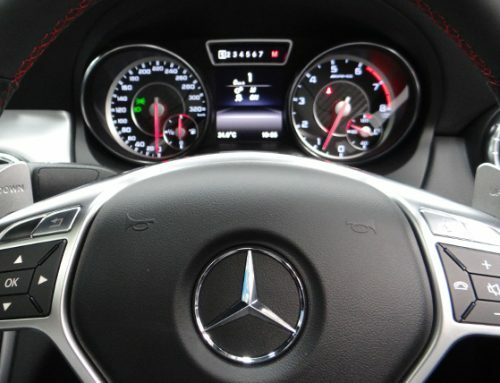 And when we say “specialist”, we mean it – our team of mechanics ONLY service vehicles with the three-pointed star. This level of specialisation means that we’ve seen it all, to the point where oftentimes, we’re able to tell exactly what’s wrong with your vehicle just by driving it! As such, you can trust us with your Mercedes-Benz service needs! During your service, our Mercedes-Benz specialists will inspect each component and part, making sure that it’s in optimum working order. We’ll then tell you up-front whether you need additions to your service package. You don’t just have to take our word for it either – we’ll show you exactly what’s wrong, and tell you whether you should get it replaced now, or if it’s safe to postpone until your next service. Give us a call today – you can contact our Fairfield workshop on (03) 9499 9585, and our Moorabbin workshop can be reached at (03) 9555 5580. Alternatively, click here to make an enquiry or booking, and we’ll get back to you ASAP!